Last week the Supreme Court made its final ruling on Masterpiece Cakeshop, Ltd. v. Colorado Civil Rights Commission, a case revolving around whether a baker out of Colorado could refuse to make a wedding cake for a homosexual couple based on his religious beliefs. The Supreme Court came down in favor of the baker in a 7-2 decision. However, the basis of the ruling is extremely narrow–so much to be nearly inapplicable in other cases. We’ve discussed this case before and we predicted Justice Kennedy would be the lynchpin to the way this case went. While he authored the opinion, it seems that the court found a position inoffensive enough to draw more support than there appeared to be in oral arguments on the case. The Court did not even come close to ruling the Colorado discrimination laws unconstitutional, they did not even address the free speech arguments brought by the baker in this case. What the court did do is one of the several options we discussed in our previous article, they reprimanded the Colorado Civil Rights Commission and sent the case back down with a little bit of guidance moving forward. For the most part, from a purely legal standpoint, the Court did very little to set back or advance the cause of LGBT rights except for in the immediate case of this couple and this baker. There is a larger potential for damage here and the specifics of the Supreme Court’s ruling are still important. Let’s look at the background of this case, this recent ruling, and what it means for the future. Masterpiece Cakeshop, as we mentioned, is fundamentally about whether a baker has the right to refuse to make cakes for homosexual couples based on his religious beliefs. The baker in this case, Jack C. Phillips, cited his own religious beliefs that homosexual marriage is wrong. He said that his making a cake for the wedding would “displease God” and send the message that he supported homosexual marriage. 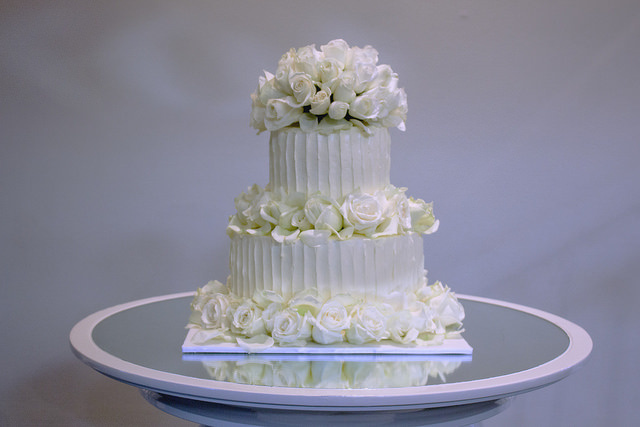 The couple in the case was denied their wedding cake by Mr. Phillips, an experience they have described as one of extreme humiliation–something that broke them down to tears. They originally did not even consider that there may be laws protecting them based on sexual orientation, not altogether surprising given the long standing complete lack of protection for the LGBT community. The couple eventually sued, refusing service based on sexual orientation violates Colorado discrimination laws known as the Colorado Anti-Discrimination Act. Phillips lost an argument that the discrimination laws violate his First Amendment freedom of speech and freedom of religion rights at every level of the courts thus far, losing before an Administrative Law Judge, the Colorado Civil Rights Commission, and the Colorado Court of Appeals before the case ultimate ended up in the highest court in the land. The arguments from Phillips essentially boiled down to two main points. First, his cakes (with nothing written on them) are free speech expression in the vein of a statue and Colorado law cannot compel him to “speak.” Second, the law forces him to act against his religious beliefs in violation of the Free Exercise Clause of the First Amendment. These are the two questions which the Supreme Court have agreed to answer–whether the Colorado discrimination laws on sexual orientation violate the Constitution in these ways. It’s important to note that even Phillips himself did not bother arguing that for a general right to discriminate, although some particularly conservative parties who have filed amicus briefs (non-party memorandums on the case) are, but rather a loophole in discrimination law based on religious belief. Phillips arguments had some serious holes in them, but in the end neither of the questions were addressed in the ruling authored by Justice Kennedy. Instead, the ruling focuses exclusively on the facts of the case at hand and, more specifically, the Colorado Civil Rights Commission’s ruling on the case. He specifically singled out one comment where the CCRC stated “Freedom of religion and religion has been used to justify all kinds of discrimination throughout history, whether it be slavery, whether it be the holocaust. And to me it is one of the most despicable pieces of rhetoric that people can use to use their religion to hurt others.” Justice Kennedy wrote that this showed that the CCRC had a hostile approach to religious beliefs. Justice Kennedy has a history of rankling at lack of deference to freedom of religion, so his position on this case is not a huge surprise. Regardless of whether you agree with his assessment of the CCRC’s approach, it appears the Supreme Court ruling balanced this history with his history of support for LGBT rights–having authored most pro-LGBT rights opinions. The final decision overturns the CCRC’s specific decision in this case for not giving religious rights sufficient weight in their determinations. This does not rule that religious belief gives free reign to deny services to the LGBT community. It doesn’t even really rule that it gives Phillip the right to do so, it just says that the CCRC didn’t properly balance its approach in this one case. It doesn’t say anything about the free speech implications of cakes. It doesn’t say that other people who arrange flowers for weddings, cook meals for weddings, or even bake cakes for weddings can deny service to LGBT couples. To be frank, the ruling is almost impossible to use as precedent in any other case in the future in support of the premise that religious belief can be used to deny service to LGBT couples. Taken together, while this does go in favor of Phillips, it upholds the standard rule that states can make laws preventing businesses from discriminating against the LGBT community. The dissent to the case, from Justices Ginsberg and Sotomayor, criticized the decision for not going far enough. They argue that marriage has long been considered a fundamental right, under Obgerfell this extends to homosexual marriage, and that generally religious objections have not been sufficient to overcome such rights under a balanced, neutral legal analysis from the courts. This dissent has a point, and what’s more, even without precedent from the Court this ruling the potential to do damage to the LGBT community. This ruling, regardless of its legal impact, will convince many that they can and should follow a similar course to Phillips and choose to discriminate against the LGBT community in their business dealings. At a minimum, a business owner out in Tennessee has–after a 2015 ruling requiring he take it down–put up a “No Gays Allowed” sign back up in his window. Unfortunately, this may be part of a larger trend. However, on the legal side, the most recent events have been the opposite. A court out of Arizona has already cited the ruling in determining that a calligraphy company wasn’t allowed to deny service to homosexual couples. Unfortunately, those who are emboldened are likely to substantially outnumber the courts that cite to such a narrow ruling. As Justice Kennedy wrote, it will take another Supreme Court case to truly elucidate where case law stands on the issue of using freedom religion as a sword against the LGBT community as opposed to a shield. For now, this narrow win for Phillips has done its damage but it could be much worse. « Was Roseanne Barr Wrongfully Terminated For a Racist Tweet?